Morning Sunshine! Almost there. One more day to go! 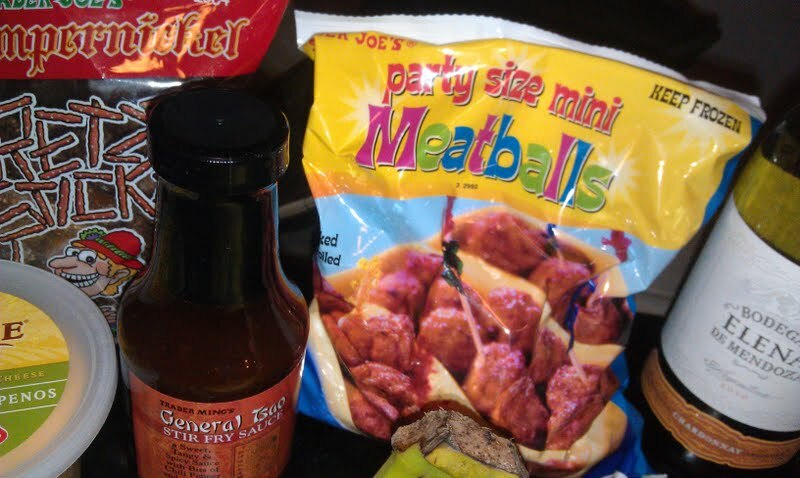 So this past weekend I went to Trader Joe’s and picked up a few newer items. 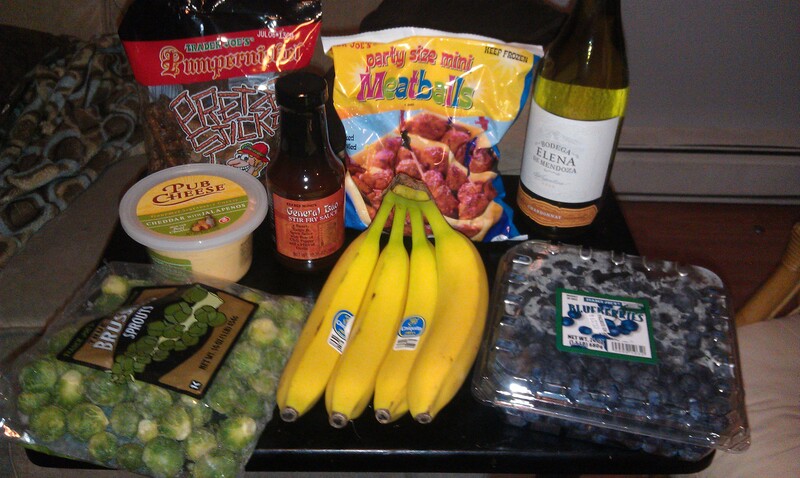 Now honestly, I just went in for fruit but of course I came out with a few goodies! As usual I tried both of the samples they were giving out(and the beer samples!) and I ended up leaving with all four of the products I sampled. They were perfect for our Super Bowl festivities! A few weeks ago Nolan used the Trader Joe’s General Tso sauce on his chicken wings and it was a HUGE success! Everyone loved the taste so when I saw they were giving out meatballs covered in the sauce, I put them both in my cart before even trying them. To prepare them, all I did was toss them (still frozen) into a pot, covered them with sauce, and let them simmer on low for about 30 minutes. Everyone went nuts for them! The quality of Trader Joe’s frozen products astounds me. It never tastes stale or freezer burned. 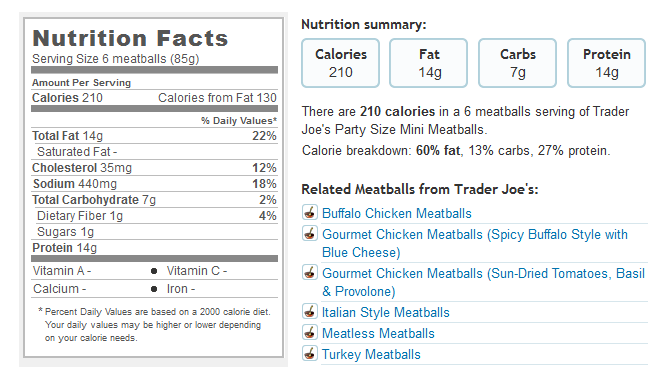 In comparison with other party snacks, these bite sized beauties aren’t terrible calorie wise. 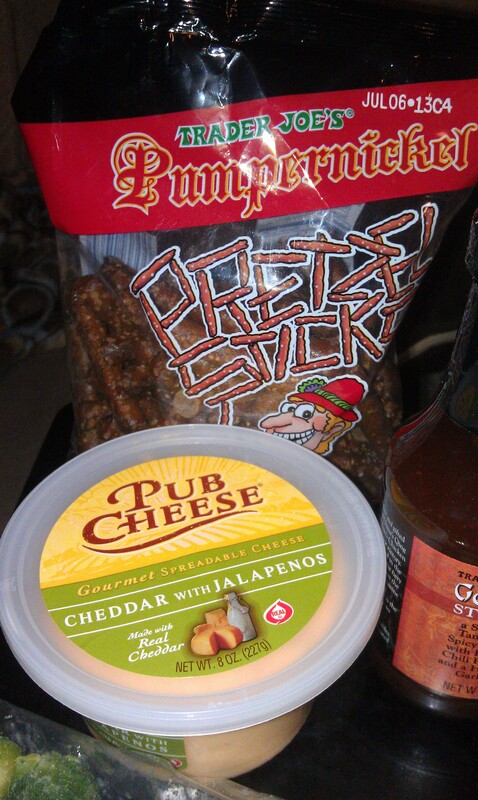 I loveeee Pub Cheese and I also really like the honey pretzel sticks. I had never tried the pumpernickel ones before but the second I tried them with this spread, I was instantly sold! It’s not overly spicy but it certainly has a kick to it which pairs so well with the salt on the sticks. Thanks to the men in Hawaiian shirts our Super Bowl party was a success! What was on your Super Bowl menu? 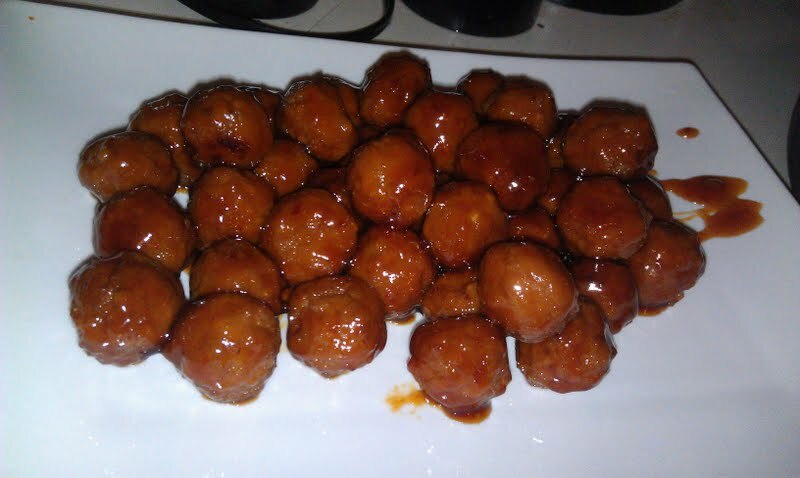 Sauces: bbq, buffalo, or General Tso? I will admit the Super Bowl isn’t half as exciting when your team isn’t playing, but that also means it isn’t half as stressful and nerve racking, especially after last year’s terrible loss. Almost overnight I became a HUGE 49ers fan. In true Boston form, I always root for the Patriots, and whoever is playing the team that beat us, in this case, the 49ers! 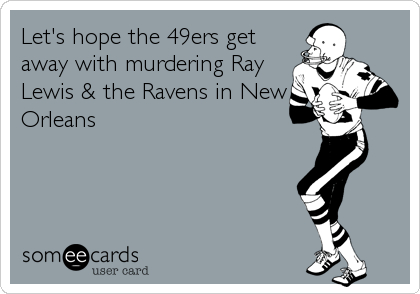 Today it’s all about the food, the commercials, and the demise of Ray Lewis! 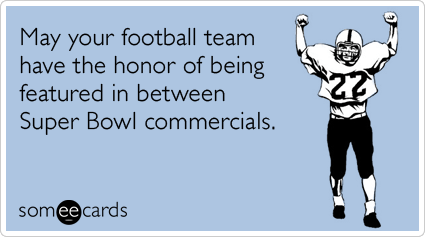 The Super Bowl was always one of my favorite days of the year growing up. I might not have understood why, but my dad would always buy a ton of appetizers like potato skins, wings, and mozzarella sticks. I don’t remember watching the actual games, but I remember that food. 🙂 Today will be no different. I made a trip out to Trader Joe’s yesterday for some savory snacks to serve to all the new 49ers fans who will be filling our living room tonight.